If you run a business, you’re busy. You’ve worked hard to grow it as much as possible, to hire the best people, to partner with the best vendors. So with all the work you put into it, you don’t want to see it head down the drain just because of someone abusing a business deal. Hiring a business lawyer is imperative in every deal you make with someone, whether that person is a stranger or a family member. Contracts are there to help everyone and can protect you and your business. 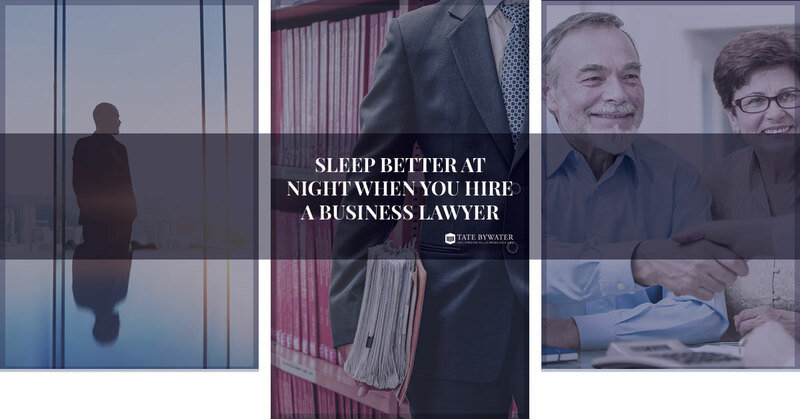 Here are a few reasons you’ll want to make sure to hire a business lawyer. We’ve all heard of situations where a contract was poorly written and someone was able to wriggle out of it, leaving the other party in the lurch. If you enlist the help of a business lawyer, you’re much more likely to get a contract that will protect you and will hold up in court. When you have a properly written contract, you’ll get peace of mind knowing that you’re protected. If you have to enter into business with someone not knowing if they’re going to follow through or not, the entire time you’re dealing with them can put undue pressure on your mental real estate that could last for years. Get it taken care of at the beginning with a well-written contract and you can devote your emotional energy to other endeavors. When a business is small and without much cash flow, there can be a temptation to deal with small legal matters without the input of a professional business lawyer. But as the stakes get higher and legal matters get more complex, the legal aspect of it can take up far too much time for a laymen to deal with. Get the proper representation with the right business lawyer. Running a business can be hard, so don’t make it any harder than it has to be. Contact TATE BYWATER for help right here.